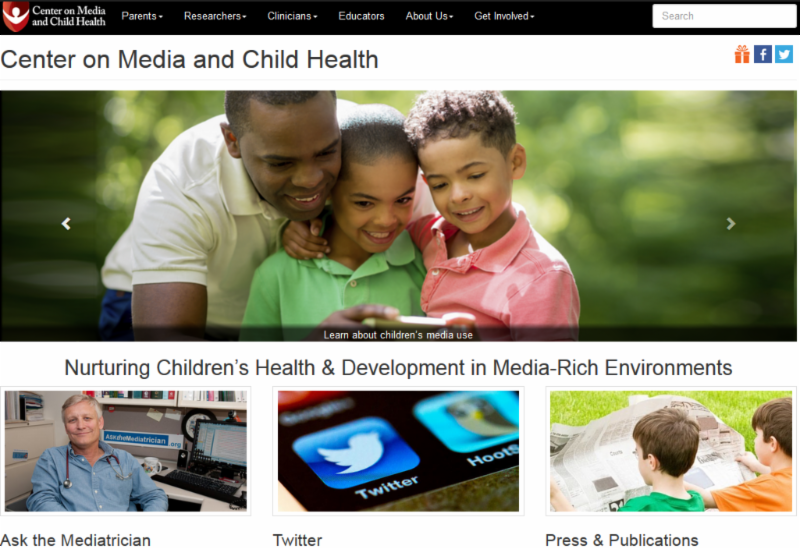 Just in time for going back-to-school, The Center is thrilled to announce the launch of our new website, www.cmch.tv! The new site features the latest resources, research, tips, advice, and even printable guides for all things related to children, media, and health. From the popular Ask the Mediatrician blog to CMCH’s Database of Research, the new cmch.tv is home to all of the Center’s research, outreach and innovation. We hope that all of our MHM readers will explore the site, ask questions, provide feedback, and share with family and friends! How can I help my kids shift their media routine into back-to-school mode? A: The introduction of tablets and smartphones into education has blurred the concept of screen time and screen time limits as a strategy for helping kids thrive in a digital environment. To help your children balance their tablet use (as well as TV, video games, and Internet), use these devices with them, guiding and modeling productive, focused use of these powerful tools. Read the answer here.